The Confederation Bridge is a world engineering feat. It connects Prince Edward Island to the mainland over the Northumberland Strait in the southern part of the Gulf of Saint Lawrence. At 12.9 kilometres or 8 miles long it is longest bridge in the world over ice-covered waters. It takes approximately 10 minutes to across. At the highest point, the bridge reaches 60 metres above sea level, which allows large sea vessels, including cruise ships, to navigate under the bridge between its piers. Construction on the bridge started in 1993 and was opened on May 31st 1997. Many Islanders still refer to it as ‘the link.’ However, after much deliberation the bridge was aptly named after the forming of Canadian Confederation. A fitting name considering Charlottetown is known as the Birthplace of Confederation, where the important first meetings of the Founding Fathers of Canadian Confederation took place in 1864. The bridge took four years to build at a total cost of $1 billion dollars. This revolutionary landmark challenged Islanders’ sense of themselves, their past and their future. It was given a life expectancy of over 100 years, and was the final nail in the coffin for the New Brunswick ferry. It has changed Island life forever. Due to its phenomenal length the Confederation Bridge is a multi-span concrete box girder structure. It tested the skill and ingenuity of engineers, who gave it a curvy design as a safety feature to reinforce its strength, to ensure drivers remained alert while making the crossing. The bridge was built from both ends towards the middle. Before you cross to Prince Edward Island, there are two great vantage points from the New Brunswick side. At the foot of the bridge, in Bayfield, walk down a boardwalk near the ocean, through coastal forests and marshes. The land around the boardwalk is undeveloped, undisturbed and idyllic. The path eventually connects to a nature centre. Cape Jourimain Nature Centre, located at exit 51 is much more than just a gift shop and restaurant. You can broaden your knowledge by learning about the construction of the “Fixed Link” from NB to the Island in an environmentally-friendly building. Plus it is the perfect spot to capture a snapshot of this magnificent engineering marvel. If you want to catch another view walk under the bridge to the other side and you can see it stretch for miles into the Northumberland Strait. There are many incredible vantage points of the bridge from Prince Edward Island as well. Visit our Best Bridge Views blog for more epic photo opportunities. Bridge tolls are collected when leaving Prince Edward Island at the toll plaza in Borden-Carleton. Cash, Interac, and all major credit cards are accepted. 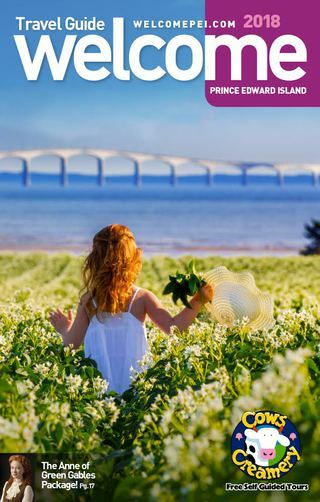 Confederation Bridge tolls are tax-exempt. The bridge is maintained by a private and public partnership, a company called Strait Crossing Bridge Limited.